Chunk got to check out the brand new Fireman Sam Electronic Pontypandy Fire Station this week and I even attempted a little Vlog to show you what it does! This fire station is a portable playset which is lightweight so the kids can carry it around themselves. If your kids watch the programme you will know that the original fire station burnt down last year, so this toy is the the replica of the brand new station used in the current series. The playset features a working life, fireman's pole and various doors that open including a pair of double doors for the fire engine to drive through. Inside the station is a turn table and vehicle maintenance ramp for the fire engine which you can buy separately. 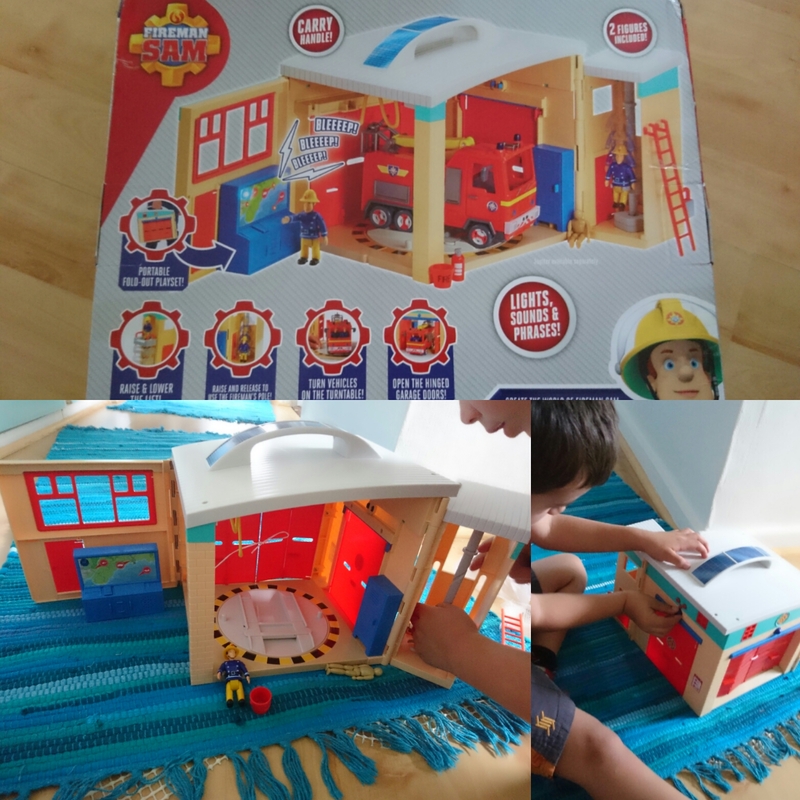 The set comes with two characters (Fireman Sam and one of the other members of the crew) and a ladder which can attach to various parts of the station. There's also an electronic control desk which has lights and sounds (and thankfully an off switch when you want to pretend the batteries have died). Overall Chunk really liked this playset and particularly enjoyed putting his collection of cars on the ramp and even some of his dinosaurs needed maintenance too. Check out my video below to see the playset in action. Chunk was sent the playset to test for the purpose of this review. All opinions are honest and my own. This reminds me of a similar one I had as a child. Different brand, but similar build & idea. Lots of fun to be had playing with that.